« Come Ride Cape Cod’s Shining Sea Bikeway! 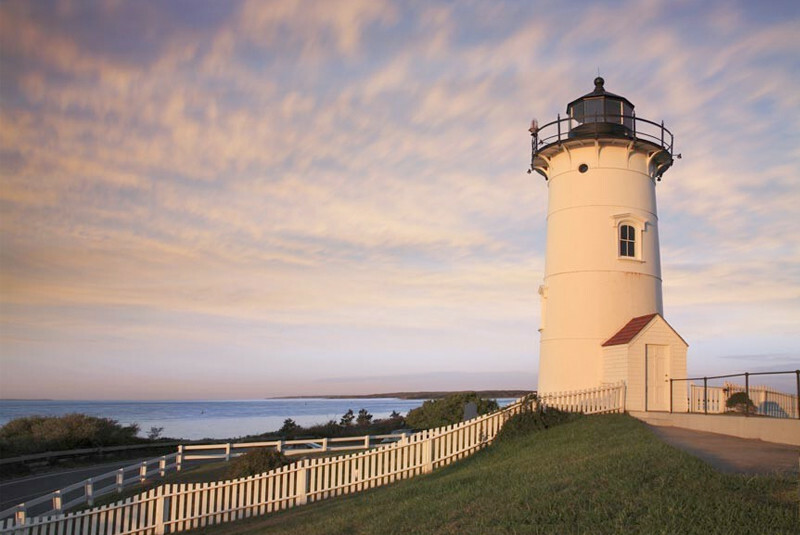 There are endless reasons to visit Cape Cod, not the least of which is our many lighthouses. There are many lighthouses dotting our coastline, and none of the most popular is less than 10 minutes away from our Cape Cod B&B: Nobska Lighthouse! There’s something fascinating about lighthouses. People from all walks of life are attracted to them – and why not? The iconic towers have been guiding ships to safety for time out of mind. They’re also often the tallest, most fascinating and graceful structures in the vicinity. Cape Cod has 14 along it’s coast. Race Point, Wood End, Long Point, Highland, Nauset, Three Sisters, Sandy Neck, Wings Neck, Lewis Bay, Bass River, Stage Harbor, Monomoy, Chatham, and Nobska Point. Race Point Lighthouse is the farthest from our Cape Cod bed and breakfast – a nearly two hour drive. Nobska Lighthouse, on the other hand, is just minutes away by car. In fact, you could bike there from The Captain’s Manor Inn, on the Shining Sea Bikeway, in around 20 minutes! Nobska Lighthouse is located on a bluff, just east of Woods Hole Village in Falmouth, MA. The light enjoys expansive views of Martha’s Vineyard, the Elizabeth Islands, Nantucket Sound, and more. The lighthouse’s tower was originally a wooden structure, built in 1828. It served as a beacon for 38 years, before being replaced in 1876 by the 40 foot tall, cast iron tower seen today. The second fresnel lens ever installed in Nobska Point Lighthouse went in in 1888 – and is still there, refracting the light, to this day. Yes, Nobska Point Light is still a functioning beacon but it was automated in 1985, eliminating the need for full-time keepers. In 2016, the Coast Guard granted the Town of Falmouth a license to care for historic property. A nonprofit group, Friends of Nobska Light, was formed shortly thereafter and have been working tirelessly to restore the tower and grounds ever since. Though restoration of Nobska Lighthouse won’t be completed until 2020, tours are both available and recommended! Come see how lighthouse keepers of the past lived, explore the grounds, and take in those amazing views. Don’t forget your camera! Tours of Nobska Light include access to the very top of the tower, though you have to be prepared for the climb! Access is via a three-story spiral staircase, then a ladder up to the fourth story’s light and incredible view. The lighthouse keeper’s house is also often open for tours. Visit www.friendsofnobska.org for current tour times and other information. You can also visit the light on Facebook.